화려한 레이스 장식의 드레스를 입고 유럽풍의 대저택을 거니는 상상, 여자라면 한번쯤 꿈꿔보는 달콤한 상상이 있습니다. 에뛰드 하우스는 유럽 역사상 가장 화려했던 왕비 ‘마리 앙투아네트 (Maria Antonia Anna Josepha Joanna)’를 영감의 대상으로 하여 그녀가 실제 머물렀던 프랑스 베르사유 궁전 속 ‘프티 트리아농(Petit Trianon)’을 모티브로 한 외관을 가진 에뛰드 하우스 동성로점을 오픈 했습니다. 에뛰드 하우스 동성로점은 기존 ‘소녀의 집’에서 ‘프린세스 판타지’ 무드를 강화해 선보이는 새로운 공간으로 프린세스 룩을 느낄 수 있는 특별한 디자인 아이템이 곳곳에 숨어 있습니다. 에뛰드만의 다양한 핑크를 만날 수 있는 ‘핑크 존’, 직접 티아라를 써볼 수 있는 ‘티아라 존’등을 마련하여 상상 속에만 있던 프린세스에 대한 동경을 직접 경험할 수 있으며 에뛰드에서 시그니처 아이템으로 개발한 프린세스 빅 미러 / 립스틱 샹들리에 / 호박마차를 디스플레이하여 시각적인 즐거움을 더하고 있습니다. Imagine strolling around a European mansion wearing a gorgeous lace dress—every girl has dreamed of such sweet imagination at least once. ETUDE HOUSE has taken inspiration from history's most extravagant queen, Marie Antoinette and incorporated the actual design of Petit Trianon within France’s renowned Palace of Versailles as a motif for the newly opened ETUDE HOUSE shop at Dongseong Road. 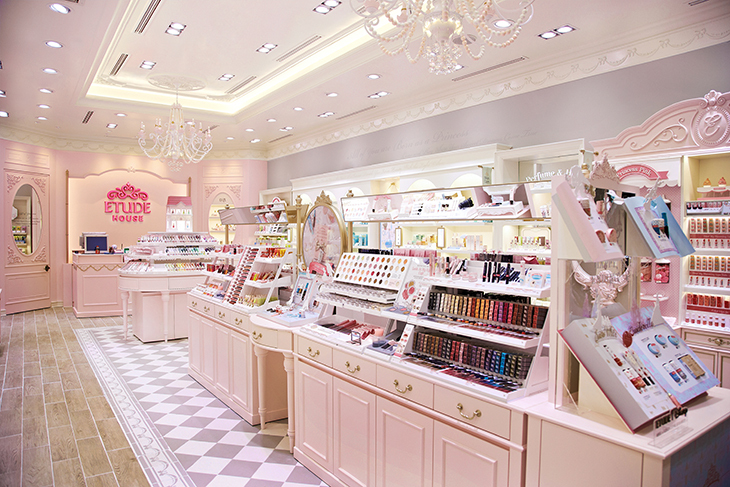 ETUDE HOUSE shop at Dongseong Road reinforces the spirit of a "princess fantasy" from the existing feeling of a “girl’s home,” revealing a new space with uniquely designed items hidden within. Only ETUDE provides the 'Pink Zone,’ where a variety of pink shades converge, the 'Tiara Zone,’ where tiaras can be worn, while others can experience all of their fantasies come true as a princess. 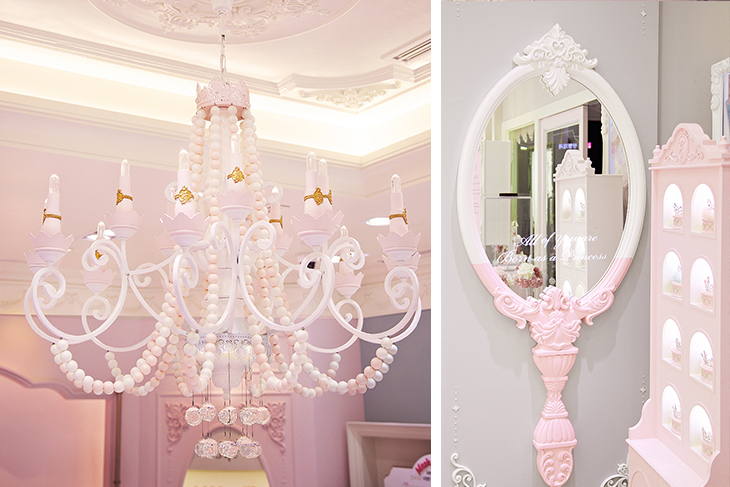 ETUDE has developed signature items including a big mirror fit for a princess, a lipstick chandelier, and a pumpkin carriage that is on display to give charm to the space.